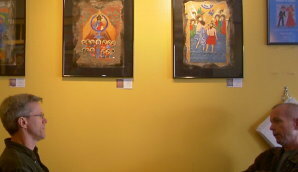 to read about the logistics of staging the Children of Gyumri art show. 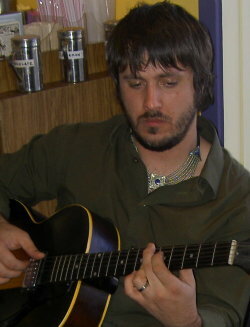 Coffee Works Barista and accomplished musician Jacob Chilton performed for the show patrons. Opening night at the Children of Gyumri show was a testament to the power of hope and art to overcome tragedy and loss. In a festive atmosphere amid happy conversation, live music, children playing, and donated pastries, about 100 Sacramentans came and opened their hearts and pocketbooks for the work of the young artists of the Aesthetic Educational Center of Gyumri. 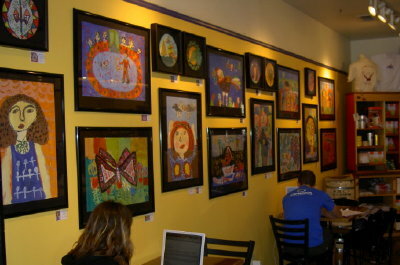 The entire interior wall space of the Coffee Works was covered with the show’s 46 pieces, each beautifully framed and displayed in the design of the show’s art director, Melinda Johnson. Tamara and John Shahabian were on hand to relate their experiences at the Gyumri school and the conditions they found in the earthquake-devastated area. 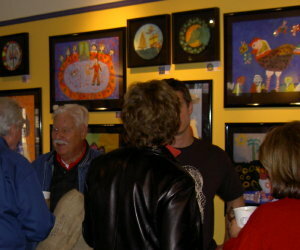 Attendees included local art patrons, east Sacramento customers of Coffee Works and friends and professional associates of the sponsors. 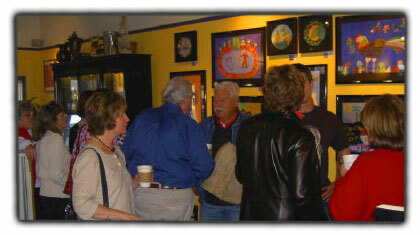 Attendance was supported by the publication of a story in the East Sacramento News. 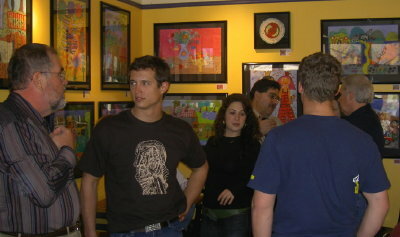 More than half of the works were purchased on the opening day of the show. A large platter of Armenian pastries was made and donated by Loretta Alagozian, mother of Coffee Works General Manager Edwin Alagozian.